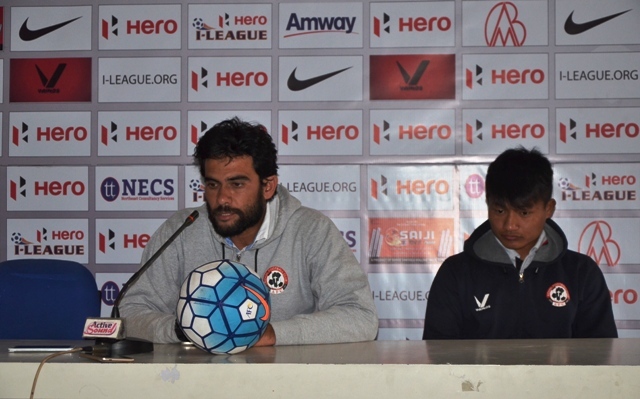 In what will be a match amidst the festive season of Chapchar Kut in Mizoram, Aizawl FC will play against Mumbai FC in the twelfth round of the ensuing Hero I-League 2016-17. Ninth in the table with nine points from eleven matches, Mumbai FC have not been having a good season so far. Apart from securing two wins and three draws, they have suffered six defeats to add many woes to Santosh Kashyap. One amongst their defeats is at the hands, or rather at the feet of Aizawl FC on their home turf. A goal by Al-Amna had ensured a win for Aizawl FC in the match which ended 0-1 in the favour of the highlanders. Looking ahead to the match tomorrow Mumbai FC coach, who has been under a lot of pressure from the fans, commented, “We are prepared for this match, and we have a chance to win.” He also mentioned that all away games are challenging but his team have to do better to avoid relegation. Ex-Mumbai FC gaffer divulged that key player Lalruatthara will be unable to join the squad due to injury but other players are available for selection. If Aizawl FC can garner a win tomorrow, it will cement at least the second spot for them for another game week, inching towards their maiden Hero I-League trophy. The match will kick off at 02:05 pm at the Rajiv Gandhi Stadium in Aizawl and it’ll be streamed live on i-league.org.